Cavities can be frustrating, especially when they still manage to show up even with proper brushing and dental hygiene. Between sugary snacks and less-than-ideal brushing technique, children in particular are especially susceptible to cavities. Various toothpastes and mouthwashes on the market claim to prevent or even cure cavities, but what about tooth powder? Tooth powders are gaining popularity in today’s market, claiming to be able to “heal” cavities, as well as remove stains, kill bacteria, and improve gum health. Are these claims true, or just another fad? Let’s investigate. Tooth decay has several contributing factors. Obviously brushing and flossing is an important part of preventing cavities, but that’s not all. Too much processed sugar and phytic acid rich foods in your diet largely contributes to dental decay. In addition, a lack of calcium, magnesium, phosphorus, and/or fat-soluble vitamins in the diet can also invite decay. Oral bacteria feed on sugar, and highly acidic foods wear down the enamel of your teeth, causing decalcification and subsequent decay. When your teeth lack the minerals they need, they become even more susceptible to cavities. How Does Tooth Powder Heal Cavities? Tooth powder contains ingredients designed to remineralize teeth. For example, Dirty Mouth brand tooth powder contains bentonite clay, kaolin clay, baking soda, French green clay, and essential oils. The bentonite clay strengthens the teeth and the French green clay is claimed to draw out heavy metals and toxins and adds minerals to enamel. Baking soda contains minerals and removes stains, while Himalayan salt regulates acid in the mouth and eliminates bad breath. Essential oils like peppermint, cinnamon, myrrh, and clove are also added to add flavor, freshen breath, and kill bacteria. 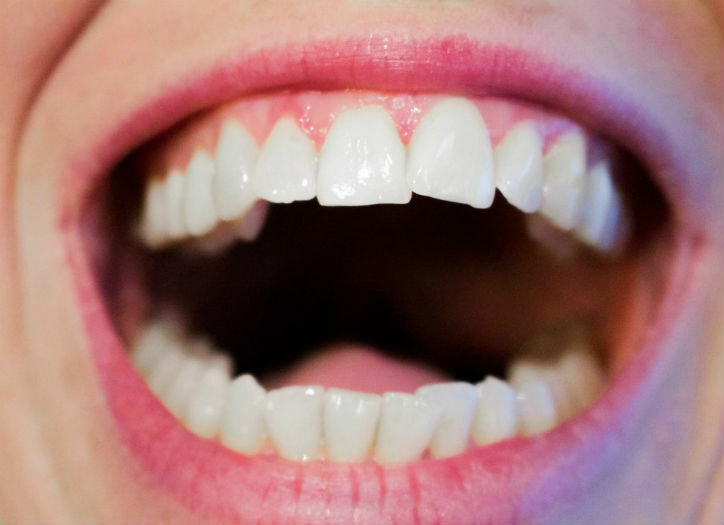 Remineralizing one’s teeth can cure cavities by strengthening the enamel and providing the body with the minerals it needs to patch the holes created by cavities. To use remineralizing tooth powder, simply moisten your toothbrush with water and add a small amount of powder to your brush. Brush your teeth as you normally would and spit out the residue when finished. Lastly, rinse your mouth with water and repeat twice daily. Can Children Use Tooth Powder? Remineralizing tooth powder is suitable for both adults and children. Some children may even prefer the powder to toothpaste as it has a mild taste and is extremely gentle. A small amount of xylitol (a tooth-friendly sugar substitute) can be added to the powder to add a slight sweetness. Due to the aforementioned susceptibilities, children may especially benefit from the use of tooth powder over tooth paste. Although tooth powder can be an effective way to remineralize and heal enamel, it’s also important to maintain regular brushing and flossing habits, as well as a tooth-friendly diet. Tooth powder is NOT a replacement for professional dental services or semi-annual cleanings and checkups.